“When you turned off Chestnut Grove Road towards the school, you went up another little road, and there were chestnut trees all up that road,” then 87-year-old Margaret Miller tells me while we sit sipping ice tea at her formica kitchen table in Meat Camp, North Carolina. As part of an extensive oral history project conducted by the Center for Appalachian Studies at Appalachian State University, I was tasked with visiting Margaret Miller and recording her memories of growing up in the mountains of western North Carolina. We spoke of many topics during the two hours I spent with her. 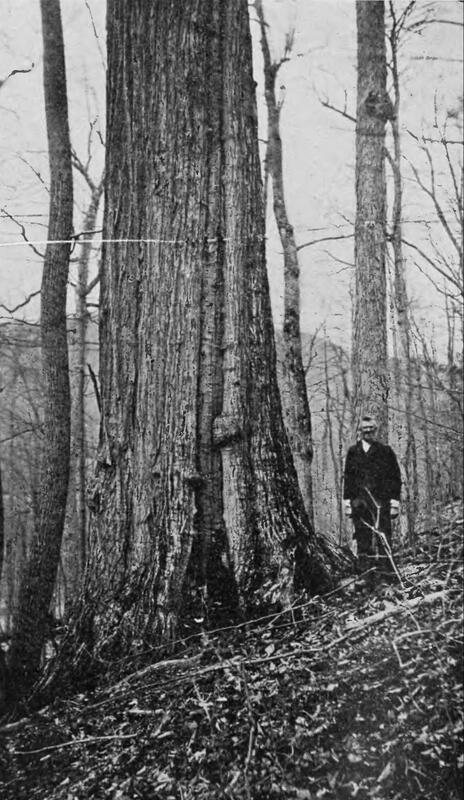 However, much like the towering tree itself, Miller’s stories of growing up surrounded by groves of American Chestnut loomed large that day, framing her reminiscences. According to the American Chestnut Foundation, for approximately 1,500 years before the turn of the 20th century, the American Chestnut, Castanea dentata, made up nearly 25% of all hardwood trees in eastern North America. Spanning up to six feet across and 120 feet high, the American Chestnut not only provided food and shelter to a variety of mammals and birds, but the lightweight and straight-grained wood proved useful for constructing houses and barns as well as railroad ties and telegraph poles. But in 1876 at a nursery in New York City, the proprietor imported a chestnut variety from Japan. Other nurseries in New Jersey and California soon followed suit. 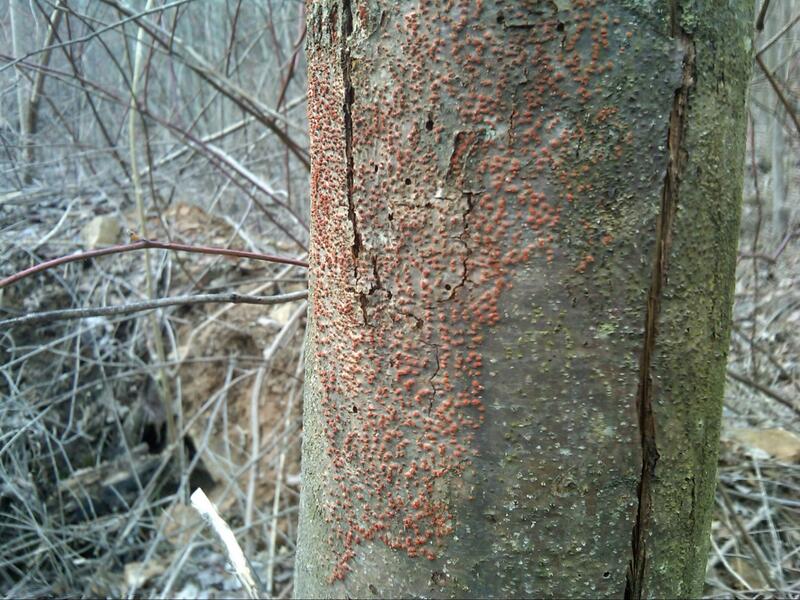 And at least one of these shipments also contained Cryphonectria parasitica, a pathogenic fungus that burrows into the trunk of the American Chestnut through bark wounds. The fungus produces cankers that restrict the flow of water and nutrients, ultimately killing everything above the cankers in less than a year. The fungus, known as chestnut blight, is transmitted by wind or carried by migrating birds, insects, and even humans. The Japanese Chestnut had evolved a resistance to the fungus. 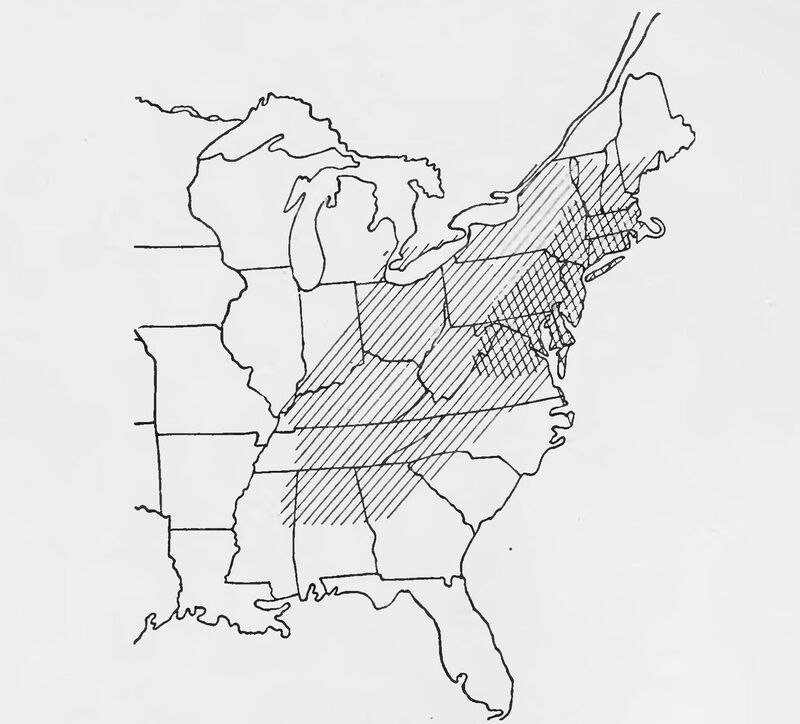 However the chestnut blight was a new threat for the American Chestnut, and it was gravely susceptible. The chestnut blight nearly obliterated the towering species in less than five decades. 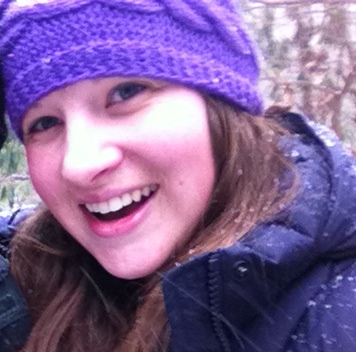 Date, 18 February 2012, Claudette Hoffman. A New York Zoological Park forester first reported the chestnut blight in 1904 after noticing an unusual number of dead and dying chestnuts in the park. By the end of the next decade all the chestnut trees in New York City had died and the blight had advanced into 10 surrounding states. Though scientists desperately tried to combat the disease through a combination of monitoring, spraying, and burning, the blight continued to spread south at a rate of almost 50 miles a year, aided by lumbermen who transmitted the blight via contaminated axes and boots. By the mid-1920s trees in North Carolina were beginning to show signs of blight and by 1935 northern Georgia’s chestnuts were infected. Just five years later almost every chestnut in the Appalachian region–4 billion trees–was dead or dying, dramatically changing the landscape and make up of the Appalachian forest. It seems the behemoth American Chestnuts fondly remembered by Miller and others of her vintage primarily exist now as just that–a memory. There are still hundreds of thousands, perhaps millions, of individual American Chestnut trees across the Appalachian region from Mississippi to Maine. However, the vast majority of this population are saplings that spring up from surviving root systems, and these individuals are almost entirely infected by blight, which kills them before they are able to flower and reproduce. Yet foresters, ecologists, and groups like the American Chestnut Foundation aren’t ready to give up on the tree. 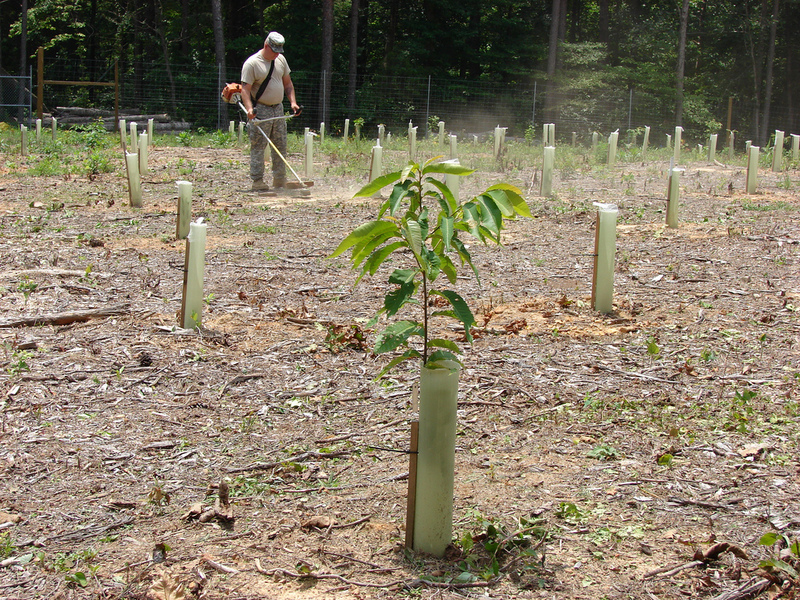 Since the 1980s there have been a variety of efforts to restore the American Chestnut to its native range. One method has been breeding a hybrid of American and the smaller, but blight-resistant Chinese chestnut. 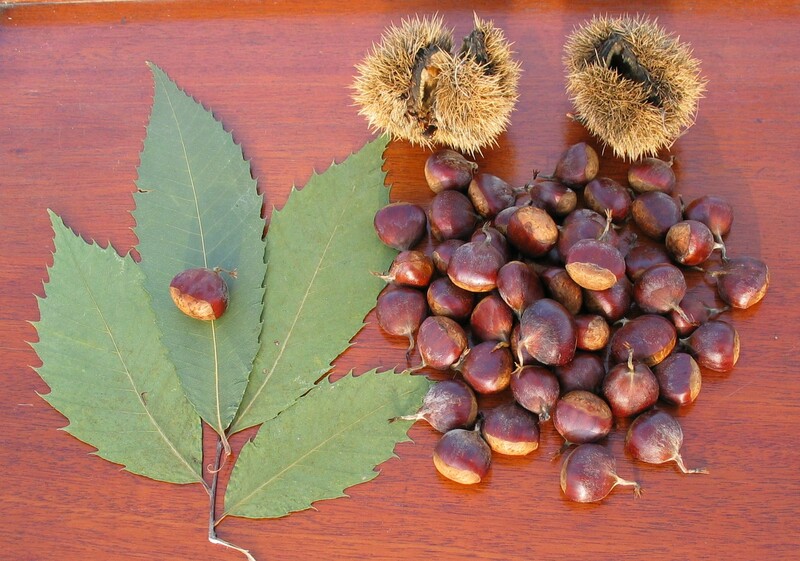 More promising still is an American chestnut genetically-engineered with genes from other plants including Asian chestnuts, grapes, and wheat, which result in an almost identical, blight-resistant tree. As science gets closer to resurrecting the American chestnut, the question remains – how will the forest respond to the reintroduction of a species that has been absent for over half a century? Perhaps the process will resemble the original slow spread of the species through the Appalachian region as the climate warmed after the last ice age, and the American Chestnut will dominate the forest once again. But it is difficult to be certain. Scientists are working to ensure that no unintended consequence arise from reintroducing a hybrid or genetically-engineered species, but much like the spread of C. parasitica, it is only our hindsight that is 20/20. So we must ask ourselves–are we restoring the American Chestnut for the good of the forest ecosystem or for our own sense of nostalgia? Anne Chesky Smith graduated from UGA with an MA in Anthropology in May 2016. She currently lives in Black Mountain, North Carolina, and works as the Executive Director of the Swannanoa Valley Museum. You can hear more from Anne or get in touch with her at annecheskysmith.wordpress.com. ← Synesthesia: See What I’m Saying?